There are plenty of backwoods. backroads. backwaters. 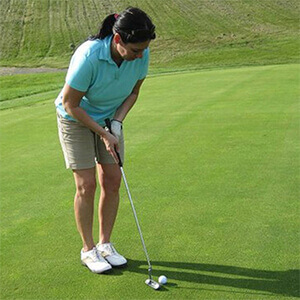 golf courses to keep you swinging for many days. Each course has special features making it more challenging than the other. Play all the courses in the DuBois area then tackle the two courses in the central and southern part of the county. An 18-hole course in Falls Creek, Pennsylvania featuring all the hallmarks of Pennsylvania golf. Designed by Fred Crawford, the Beechwoods golf course opened in 1990. 5236yd par 70 with a course slope of 123 for men and 4444yd par 70 with a course slope of 120 for women. The Chetremon Golf Course is a beautifully manicured 12 hole course with a challenging Island Green. Where great golf is just the beginning, nestled within the city limits of historic DuBois. This course has excellent fairways, with a 6400 yd par 71 for men with a course slope of 128 and a 5400 yd par 73 for women, and an overall course rating of 71.4. Every level of golfer will be challenged and delighted by the club's course. • $30.00 + tax - after 3 p.m.
Is located in the rolling hills of Central Pennsylvania. This challenging public gold course sits above the West Branch Susquehanna River near Curwensville. Built in 1977 Eagles Ridge presents beautiful white sand traps, fantastic greens and boasts beautiful mountain views. It has many features that set it apart from other public golf courses. Eagles Ridge also has a practice range, putting green, pro shop, restaurant and lounge.6257yd par 70 with a course slope of 125 for men and 5127yd par 73 with a course slope of 120 for women. 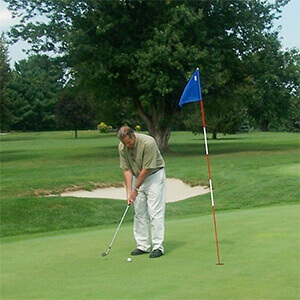 A 9 hole family owned and operated course set in peaceful rural farmland. Located just 1 mile off Sykesville-Troutville Road, Kenterra is a golf course that challenges all skill levels at affordable prices. 6107yd par 72 with a course slope of 120 for men and 4263yd par 72 with a slope of 108 for women. Tuesday 18 holes w/Cart at the Gold Course (anytime) for $32.